Mark Frith is making a return to magazines as editor-in-chief of Now, Time Inc's celebrity and style weekly. Frith succeeds Sally Eyden who has been editor of the magazine for five years and is leaving for a television role on ITV chat show Loose Women. The move represents a full circle of sorts for the 45 year old from Sheffield. Frith began his career in Emap's consumer division (now Bauer), and became the editor of pop music title Smash Hits aged just 23. He then became editor of Sky Magazine, the UK's biggest distributed title, in 1996, before returning to Emap as part of a project team working on the launch of a new magazine called Heat. At launch, Frith was deputy editor of Heat, which quickly morphed away from its original blueprint as a general interest entertainment magazine for both men and women into an irreverent celebrity women's weekly. Frith was promoted to editor in 2000 and during the next eight years enjoyed industry acclaim as it became one of the biggest selling titles on the newsstands, fuelled by the popularity of nascent reality TV shows, led by Channel 4's Big Brother. At its height, Heat enjoyed weekly circulations in excess of half a million. After Heat, Frith took up a consultancy role at Conde Nast before becoming editor of London's Time Out. Since leaving Time Out in July 2011, he has taken on various consultancy and live event roles. Paul Cheal, director of Innovation of Time Inc UK, said: "Mark has racked up a number of industry accolades and has proven his talent for launching new products and growing market share. "But what really made him the stand out candidate for this role is his passion for the celebrity sector and his clear vision for growing Now’s market share. Mark will play a pivotal role in our print and digital evolution. "Sally has done a fantastic job as editor of Now for the past five years and I wish her all the best of luck in her new role in television as editor of Loose Women." The celebrity sector has been among the hardest hit on the newsstands in recent years. Now magazine's print circulation has fallen from 591,795 ten years ago to 162,696 in its last official audit for the second half of 2014. However, it lays claim to having developed an active digital presence, with its website attracting more than 600,000 unique users per month and the brand being among the first wave of publishers to launch on Snapchat - where its stream around the Royal Baby attracted more than 100,000 views. 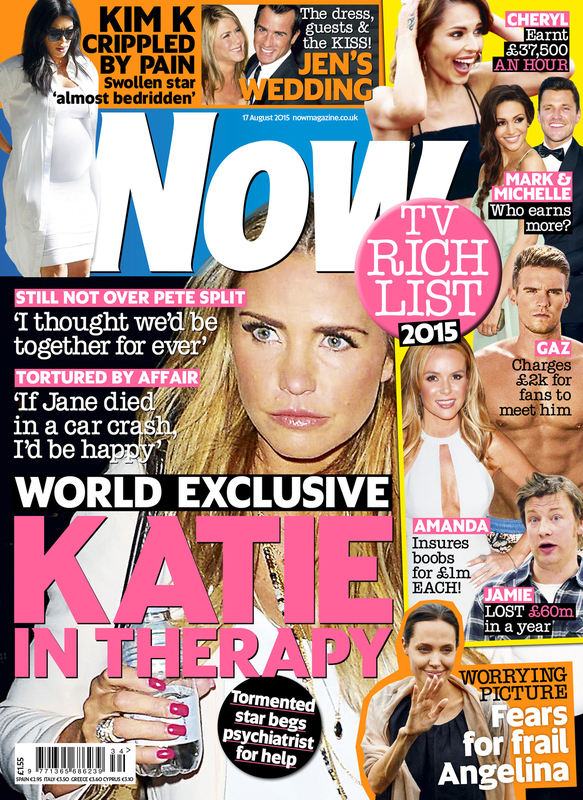 Frith said: "I'm so excited to be joining the original and best celebrity magazine at such an exciting time. Now has a brilliant team in place and I can't wait to start working with them." Will Mark Frith again prove a smash hit at Bauer?